How can I reuse or recycle old orthopedic casts? | How can I recycle this? How can I reuse or recycle old orthopedic casts? We’ve had an email from Lauren, who is year 8 (age 12) in New Zealand. In class we are currently working on science projects. I have chosen to investigate the difference between plaster and fibreglass casts. My project looks at environmental issues and disposals. Could you please help me with the following questions? 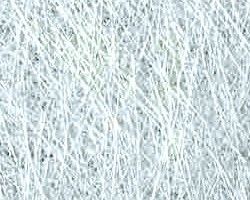 Can plaster and fibreglass casts be recycled? What type of product could these be made into? 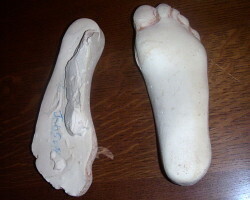 I meant to feature casts on the site a few months ago when Estelle asked about her plaster feet models but then forgot. As I mentioned when talking about fibreglass in general in May, it seems that it can be recycled but I couldn’t find any details of schemes or companies doing it. 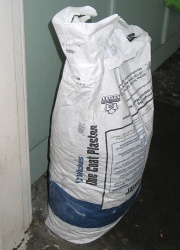 Anyone know of any schemes to recycle either fibreglass or plaster ones, either through hospitals or for individuals? 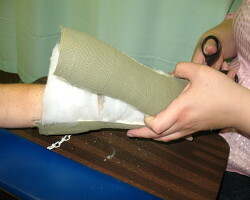 Or other reuses for the old casts? I used an ankle-to-knee plaster cast as a lamp base! After it was cut off at the drs,I brought it home and used paper mache to re-connect the two halves,after I inserted the wire and pole for lamp inside. how can I use old crayons?